Start off your visit on the 12th (Fri): learn about wildlife with up-close encounters at Halls Gap Zoo, hike along The Pinnacle, and then admire the sheer force of MacKenzie Falls. For other places to visit, ratings, where to stay, and more tourist information, use the Halls Gap trip planner . Use the Route module to find suitable travel options from your home destination to Halls Gap. Cap off your sightseeing on the 12th (Fri) early enough to go by car to Melbourne. 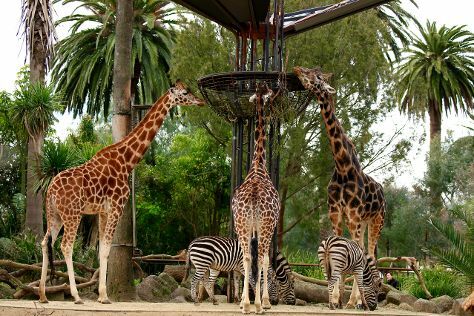 On the 13th (Sat), learn about wildlife with up-close encounters at Melbourne Zoo, then enjoy breathtaking views from Eureka Skydeck 88, and then admire the natural beauty at Royal Botanic Gardens. Keep things going the next day: brush up on your military savvy at Shrine of Remembrance, admire the natural beauty at Fitzroy Gardens, and then examine the collection at Melbourne Museum. For where to stay, traveler tips, and other tourist information, use the Melbourne online vacation planner . You can drive from Halls Gap to Melbourne in 3 hours. Alternatively, you can take a bus; or take a train. In April in Melbourne, expect temperatures between 23°C during the day and 11°C at night. Finish up your sightseeing early on the 14th (Sun) so you can go by car back home.